Broiled filet mignon is a good solution for people who don’t have a grill or don’t feel like firing up the grill. This cooking method can still give you a crispy crust on your steak without charring it, leaving the inside with a perfect hint of red, all just from using your oven’s broiler setting. First you’ll need to adjust your oven racks depending on how thick your steaks are. Thick cuts (at least 1 ½ to 2 inches thick), you should place your broiler rack about 4 inches away from the heat. Thinner cuts up to 1 ½ inches thick will need to go about 5 inches away from the heat. Preheat your broiler for at least 15 minutes until it comes to full temperature. Place the pan or rack you’ll put the filets on in the oven and allow it to also come to temperature with the oven. Brush filets with a light coating of olive oil and season them with salt, pepper, and Chicago Steak Seasoning, if desired. Place steaks under the broiler in an oven-safe pan or a cast iron skillet, which can help them brown on the outside. Turn steaks halfway through the cooking time to brown evenly on both sides. One of the most critical steps in this process is knowing exactly how long to broil filet mignon for medium rare, rare, or medium cooks. This cut of steak is usually at its best at a medium rare cook, but everyone has their own preferences. One thing you do not want to do is overcook your filet by leaving it broiling for too long. So, how long do you broil filet mignon? The exact time will depend on your oven, of course, and the thickness of the cut. For 1 to 1 ½-inch thick filets, aim for a total of 12 to 14 minutes, flipping the steaks at around 6 to 7 minutes. For thinner filets up to an inch thick, you’ll need about 4 or 5 minutes of cook time on each side for a total of 8 to 10 minutes. Wrap steaks in foil after removing them from the oven and let them rest for 5 to 10 minutes. The juices will soak into the steaks, leaving them as flavorful and tender as possible. When you go to turn the steaks, you can dab a little extra olive oil or butter on each side to help the edges and sides crisp. Wrap bacon around each filet before broiling for some extra bold flavor! Use a meat thermometer to make sure filets are done to your liking. For a medium rare cook, the thermometer should read between 135 and 140-degrees, so it can come up to 145-degrees after resting. 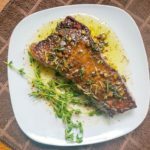 Top steak with some garlic butter after cooking, or marinade it beforehand with our Bacon Garlic Herb Butter marinade recipe! 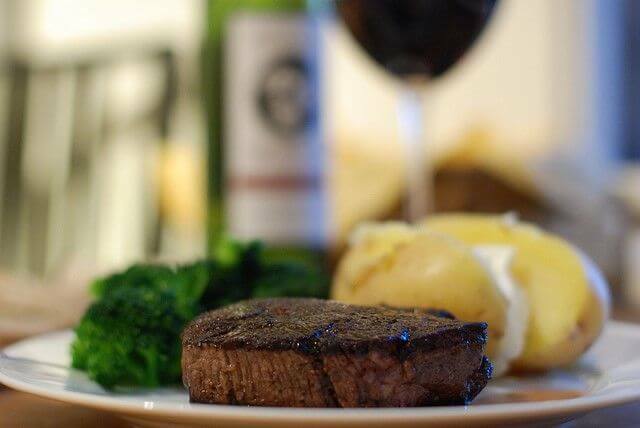 You can cook filet mignon using just about any steak-worthy cooking method and have it be a success as long as you know how to cook to the right temperature. 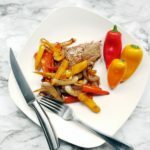 This cut is one of the most craved pieces of steak because of its melt-in-your-mouth texture, and broiling combines that texture with a delicious, crispy crust that adds the right amount of crunch and flavor. Now you have one more cooking method for filets in your arsenal! Don’t forget to check out some of our other helpful cooking articles on Steak University.